Officers from across the city served and raised Tim Hortons cup on May 31 in an effort to send kids on camp. 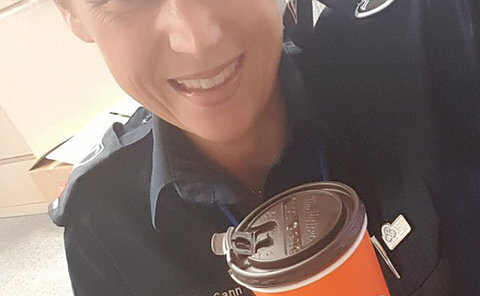 Before Inspector Bryan Bott and a few of his homicide officers got down to their regular work, they went to Tim Hortons College Park location to serve up some coffee. 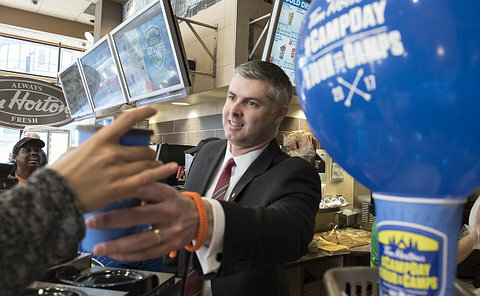 “For the past several years, members of Homicide have participated in Tim Hortons Camp Day,” said Bott. “This is an excellent program offered by Tim Hortons, which supports and offers opportunities to disadvantaged children. 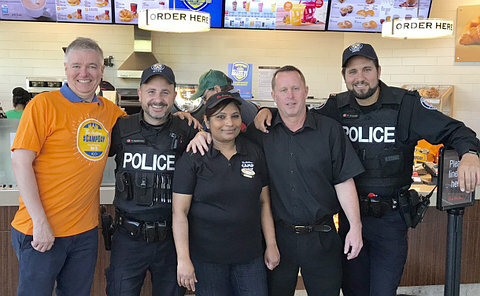 As members of TPS Homicide, we are proud to support such programs, and also create an opportunity for the public and the employees of our local Tim Hortons to see TPS investigators through a different lens." 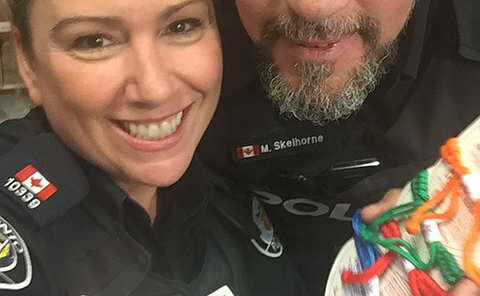 Constable Randy Arsenault and officers at 43 Division also participated at a Scarborough location. About 14,000 campers aged nine to 12 years attend a 10-day summer camp session or a seven-day winter camp session at one of the Foundation's six camps in Canada and the United States. Children are selected by Tim Hortons restaurant owners who work closely with local youth organizations and schools to identify kids who would most benefit from an experience at camp.